So I thought it might be a good idea to update you guys on what I have been up to blog wise. When I first started this blog I had the idea of writing stuff about horror movies and how to survive should your fav horror flick come to life, tomorrow. Thing is, believe it or not but, although I am a stupidly huge fan of post apocalyptic movies there are other things that I enjoy or get me way to excited for a bloke my age should get. Yes, there is Bushcraft and urban/wilderness survival but there is more still, I happen to have a big interest in the paranormal and ufology, I like to think that I am a spiritual person even though I prefer not to align to any specific religious doctrine and no, before you say it (and one of you will say it, or at least think it), I am not unfocused, I am multifaceted, I have more than one interest and I want to share those interests here. For this reason I have deleted what I liked to call my archive blog, where I kept all the posts I have ever made, going right back to March 2006. I dont want to write a blog about horror movies and the apocalypse, not when there is all sorts of things I want to write about. So there you have it, have a look around, Im sure that there will be something here which catches your eye. Would You Let Your Kids Have Energy Drinks? Tell me, what are your thoughts on Energy drinks? A few years ago I was at a point where I would be drinking the stuff regularly, almost daily I think. The reason why I want to talk about energy drinks again is because a few days ago I had just nipped out to the local shops and I passed a guy and his son, his son must have only been about 5 maybe 6 years old if that and this kid was clutching an open can of energy drink. I didnt say anything to the guy who was with this kid, Im assuming he was the kids Dad but he looked like the type who talks with his fists if you know what I mean. What ever happened to getting your spawn a carton of juice or ribena if they started with the “Im Thirsty” routine, why a can of energy drink? Can you imagine the crash this kid will get when that can wears off? 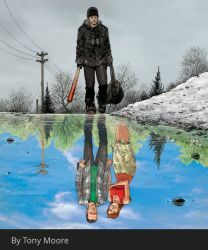 I don't know, what do you think about this? You know that safe zone which is invariably either never there or has already been wiped out. Youre going to grab a bag and throw a few things in it and youre going to leave, taking the backroads and side streets because we all know that the main roads and streets are going to be chock full of people in a mild state of freak out. You're carrying a huge backpack, have a screaming kid in tow who is crashing because he hasn't had an energy drink today and a dozen flesh hungry zombies on your tail and now you get a caffeine headache! Dont get me wrong, Im not saying that we need to quit drinking coffee, tea and energy drinks, hell i still have the occasional can of what ever energy drink is available when Im feeling run down and still have a good few hours to get through before I can rest. What I am saying is that Kids, especially small kids are like little pocket rockets, they have an excess of energy, if we could plug those little buggers into a power grid we would have enough power to light up a small town. They dont need energy drinks, its like buying a long haired German shepherd a false fur coat, you wouldnt do it, they dont need it. I dont know, would ou let your young spawn drink energy drinks, if you would, leave me a message or a comment letting me know why, Im interested in your thoughts. As I type this my hands are freezing cold after walking my daughter to school, it is about -6°c and because we were in a bit of a rush I didn't put my gloves on, I know, rooky mistake.. At the moment my hands are so cold, I am finding it difficult to even hit the keys on my computer. I can't help thinking that it is just as well that all I am doing is trying to write a blog post and not something important like light a fire, repair a shelter or something where I need to be able to have full control over what ever is in my hand. Imagine if I was trying to feather a stick or clean an animal, and I couldn't hold my knife properly because my hands were so cold. I am taking this moment as a lesson learned as to why it is important to keep your hands warm when you are out and about in the winter months, even doing the simplest of things can become almost impossible if you cant even hold the tool or hit the right key, but it's not just your hands, what if you start to shiver? Shivering is a natural action that your body does when you get too cold, it is designed to raise your body temperature through movement. 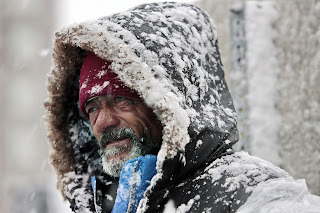 The problems start when your shivering becomes so strong that you can no longer control it, even simple things like holding a cup of tea becomes a huge challenge, and if holding a cup of tea steady is challenging you have no chance of being able to do a task which requires more concentration and a steady hand. Layering your clothes is key to avoiding the above problems, thermal underwear and woollen jumpers are a must, wool is an excellent insulator as it traps body heat and helps stop the cold getting through to you. When I go out in the cold I usually wear at least two tee-shirts, a woollen jumper (I love thick chunky jumpers, and would wear them all year round given the chance) a fleece hoody, a body warmer and a waterproof outer coat. You should also consider thick woollen socks as a minimum, preferably two pair, and two pair of gloves, the first pair would be thin thermal gloves with fingers and an outer pair of mittens. Mittens are ideal because they trap the warmth between your fingers. 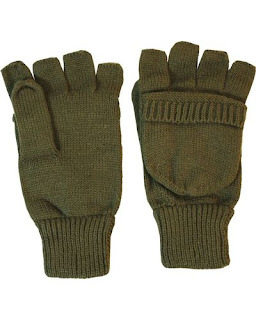 If you can get a pair of mittens where the mitt part can be removed or folded back you will be able to do any jobs where your individual fingers need to be free, without taking your mitts off, as in the "shooter mitts". Of course a hat and scarf should also be worn to keep your head, neck and if needed your face out of the cold. Your outer coat and trousers should be waterproof so you can stay dry, remember that if any of your cloths get wet, even with sweat you should get changed into dry cloths as soon as you can, wet cloths will make you feel colder and can freeze on you if you are out in the dead of winter and you do not want that to happen. Note: If you are planning to go out in the cold and wet DO NOT wear denim, I dont care how good they look or how comfortable they are, just dont! Denim will hold on to water, it takes for ever to dry naturally and if you are in sub zero conditions it will freeze while youre wearing it, not only that but the weight of your nice trendy trousers will almost double in weight. Finally, if you are out and about dont sit down and do not stop until you are in a warmer area, the heat generated by your movement is what is being trapped in all those layers youre wearing, that is what is keeping you all toasty warm, if you stop for even a minute or two you will feel the cold start to seep into you. Once you are indoors or by an established fire only then can you start to remove those layers and stop. If you are planning on camping out overnight remember to remove those layers before you get into your sleeping bag, yes it will be cold but once you are in your bag you will soon start to warm up. The last thing you want is to wake up in the morning, climb out of your nice warm bag and feel the cold hit you, only to find that you have no layers to put on because you went to bed in them and your spare cloths are wet. Finding water when your out in the wilderness can be hard at times, but it is doable, unless you are in the middle of an arid zone or in a drought situation. Worst case scenario you could tap a Birch tree to get some water. Things can be a whole lot different if you are caught in a SHTF situation and you are in the middle of a city or even a run down derelict area, with no streams or puddles you would be hard pushed to find a decent water source, but don't loose faith. There are still a few places where, if luck is on your side you can still get a plentiful supply of water. Yes, you will need to filter it and yes, you should sterilise it and make sure that you boil it, making sure that the water has a good rolling boil for at least one minute or 3 minutes if you are more than 2 km above sea level, but then, this is always a best practice anyway, even if you have set up camp next to a crystal clear flowing stream. There are at least two places that I can think of which should be able to give you water, even in a derelict house with no running water. Before we start lets bear in mind the Rule of 3`s, “You Can Only Live 3 days Without Water”, in some situations you may need to take what ever water you can get hold of, regardless. Also bearing in mind that I will be assuming that you will take every precaution to make the water safe before drinking it as we all know that becoming sick from drinking polluted water, especially if you are already suffering the effects of dehydration, will only make matters worse. The first is a toilet cistern, in older houses where the toilet was installed .before 1991 the average cistern could hole up to 9 litres of water, that's three days drinking water, toilets installed after 1991 hold on average 7.5 litres of water. Of course if you come across a toilet which has a water saving device fitted you should take around 1 litre off the total. The next place to find water is in the radiators. Unless the building you are in had some kind of ducted heating system you should be able to find a radiator. All you need to do is unscrew the valve at the bottom with a radiator key and the radiator will empty under the force of gravity. It is noted that most places would advise not to drink water from a radiator or house heating systems due to rust and other chemical contaminants and yes the chances are pretty good that the water that comes out will be black and dirty but again, once it has been sterilised, boiled and filtered through charcoal it will still be drinkable. Other places to consider are park or town square fountains, house and office boilers (which I know comes under heating systems), actual toilet bowls, rain catchers, fog catchers, depending on the time of year you could also tie rags round your feet and walk through long grass to harvest dew. 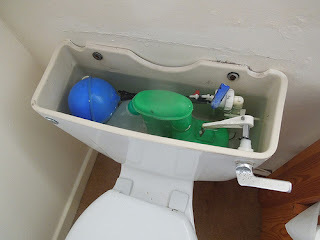 There are probably lots of other places and ways to get water which I haven't mentioned, the thing is to think outside the box and to put the ideas that a person just does not drink from the toilet bowl or cistern out of your mind. Water is water is life and in times of need, this should be your mind set. It's coming to the end of the 3rd week of January already and I'm wondering how many of us are still going strong with our New Year Resolutions, or have they kind of fallen by the way side a little bit? I didn't make any resolutions this year, I haven't for a few years now, I think that to call something a "resolution" can set you up for a fail from the start. Instead I set some goals, things I want to achieve this year. Getting my sergeant stripes and becoming a cadet instructor is way up there but, after a meeting with the company commander and the other instructors of A coy ACF I plan to be trained as an expedition instructor helping to teach army cadets wilderness survival and bushcrafting skills, I would honestly love to do this. First things first though, I need to get past an interview with the company 2IC and finish my instructors training before I start on my Ex-ped training, as far as I am aware I should finish my instructors training by October this year. In the mean time I plan to work on my fitness, I need to build up my stamina and strength so that I can walk for longer while carrying everything I need for, say a week in the wilderness. I have no plans on joining a gym, instead I want to work on my fitness the old fashioned way by putting on a backpack and getting out there and just doing it. No fancy running trainers, just a pair of ild 1980`s army issue jungle boots, my thinking is.. I almost always wear boots so if something were to happen where I had to run, I am not going to be able to just pop my trainers on and start running, so being used to running in boots seems to be a no brainer. 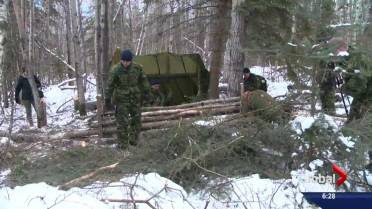 I also plan to work on my bushcrafting and wilderness survival skills, including tree identification, wild foods, shelter construction and much more. I also want to become a dead shot with my slingshot, not for hunting. I still go by the rules that if I dont need to eat it as a matter of survival I will not kill it, so targets it is. A couple of years ago my lifestyle and the things I did was impacted by my health, I am determined not to let that happen this year, I want to spend as much time as I can out doors practising my survival skills, saying that, at the moment everything is kind of stalled because of family things which are going on, which are stopping me from doing much of what I want to do. These things do happen.. Finally, I plan to turn part of my garden into a veg patch and start growing basic veggies, potatoes, carrots and the like.